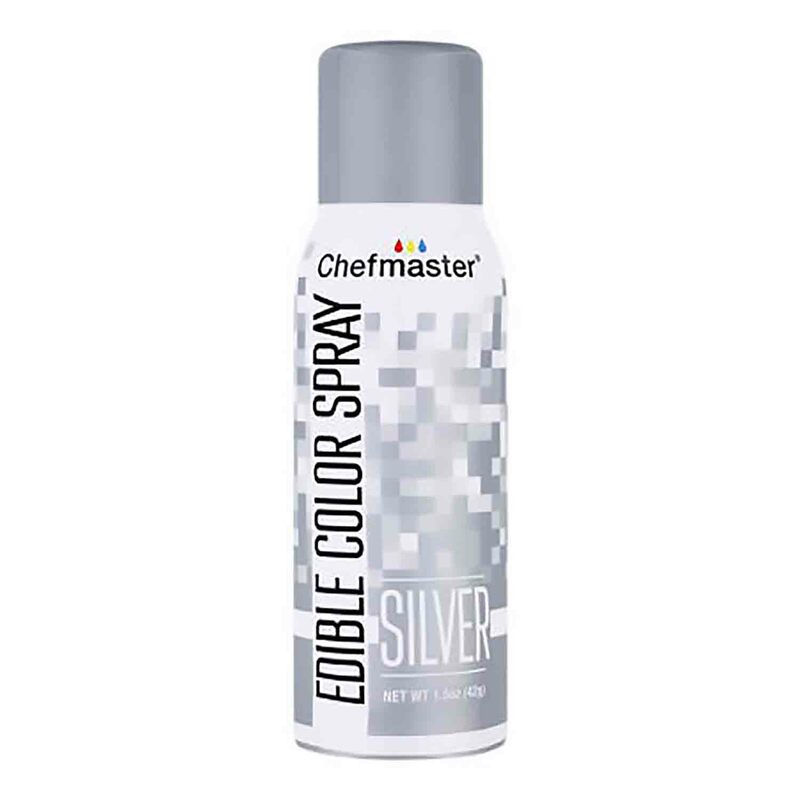 Brand: Chefmaster CFM-3632 Units: 1.5 oz. can Add brilliant shine to all kinds of products including cupcakes, cookies and candies! With a light spray one can will cover approximately 10 dozen cupcakes, twelve 8" round cakes, or five 9" x 13" cakes. Actual yield will vary depending on the color intensity desired. Add brilliant shine to all kinds of products including cupcakes, cookies and candies! With a light spray one can will cover approximately 10 dozen cupcakes, twelve 8" round cakes, or five 9" x 13" cakes. Actual yield will vary depending on the color intensity desired.